Each Wish Stone is Made from Genuine and Natural Semi-Precious Stone and Engraved in Cute Looking Silver Color. Each Necklace comes with Adjustable and Durable Waxed Cord for Long Lasting wear. 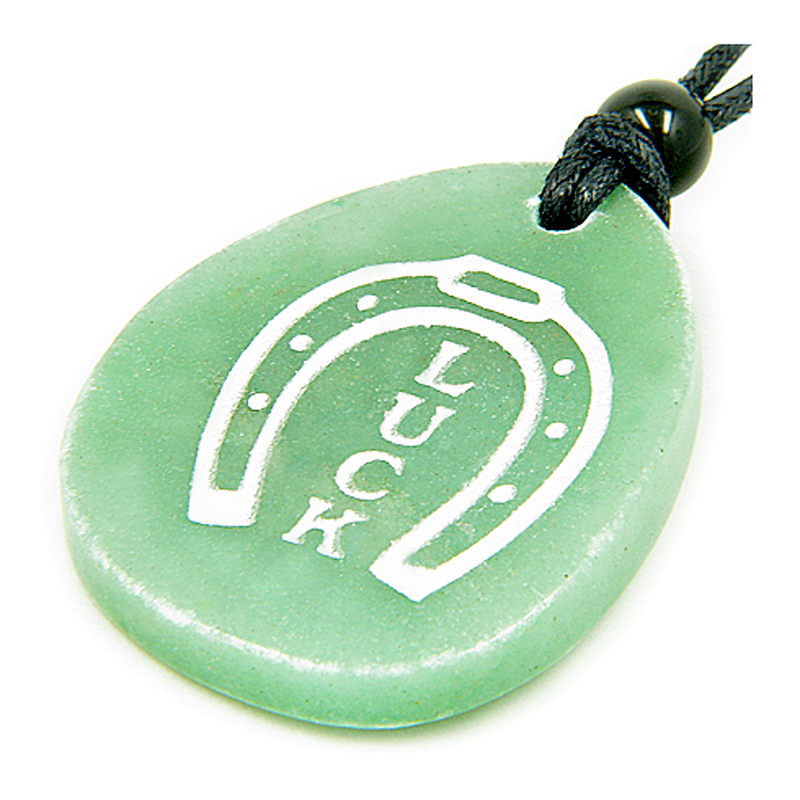 This Wish Stone Necklace comes with Engraved LUCKY HORSE SHOE Symbol and Word LUCK on inside it. It is Made from Genuine and Natural GREEN AVENTURINE GEMSTONE and Brings GOOD LUCK in Money and Financial Situations. Absolutely Lucky and Special. HORSE SHOE Has been Used for Good Luck for Centuries. Many Coulters Believe that HORSE SHOE will PROTECT them from the Negativity and Used for Blessings and Good Luck Spirit.